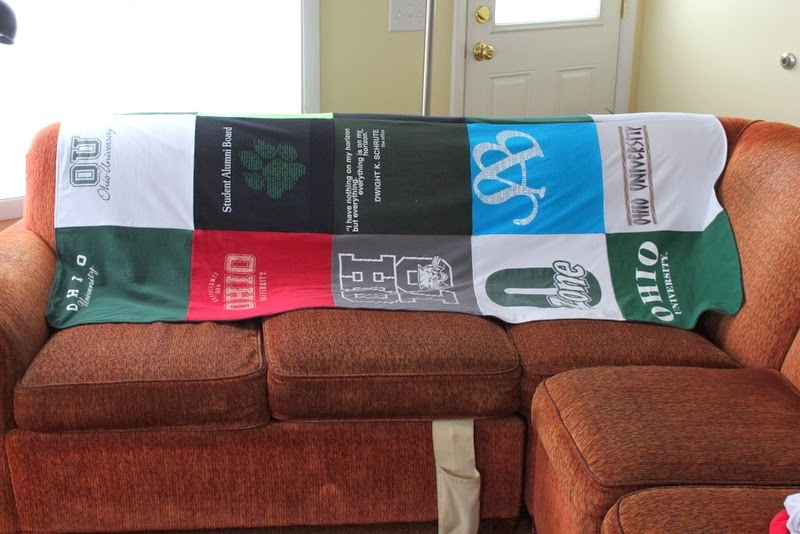 My First Blanket of 2014 and my First Ohio University Blanket! It feels good to be back in the rhythm of working and sewing. I had my sewing machine serviced and I think it is running better than the day I bought it! It’s a workhorse. I am working on my custom queue and am already out to late February. 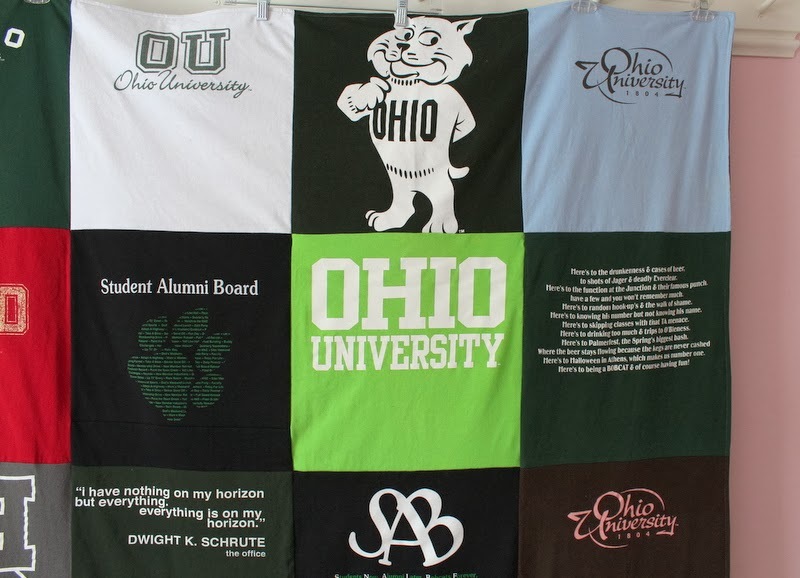 If you are considering blankets for graduation gifts, Mother’s Day or Father’s Day, please contact me early. I have two graduations this year, so I know it will be busy for me. 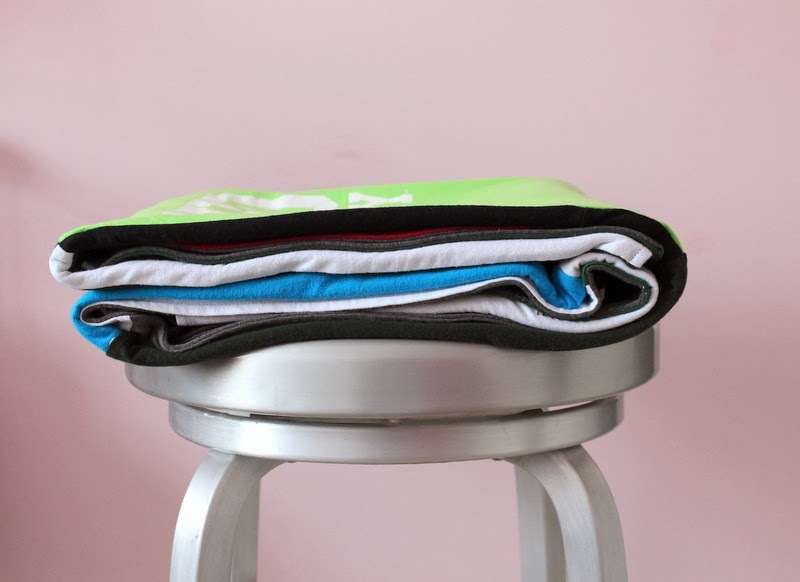 I think about the arc that my blanket-making has taken me. I started making them for my nieces and nephews as they graduated high school. The kids accumulate so many shirts and they mean a great deal to them. Then they head on to college. This blanket was made for a young, 26 year old. I suppose that’s the time that your college shirts are worn a bit less. 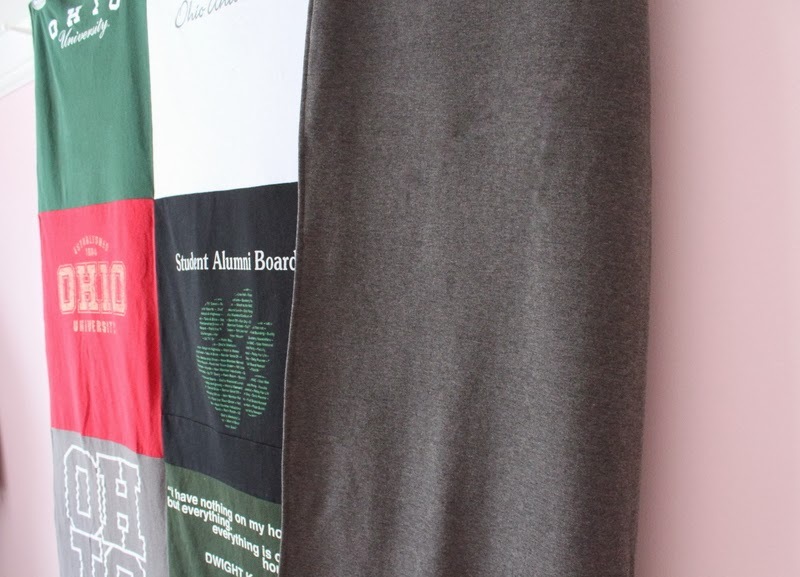 She wanted a sweatshirt backing, which gives a clean look and a heavy weight to the blanket. 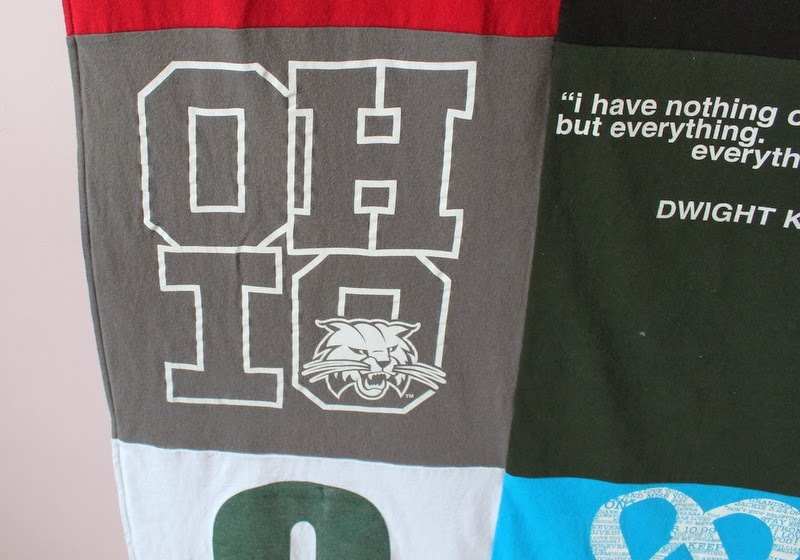 Being from Ohio, a lot of students attend Ohio University, including my nephews. 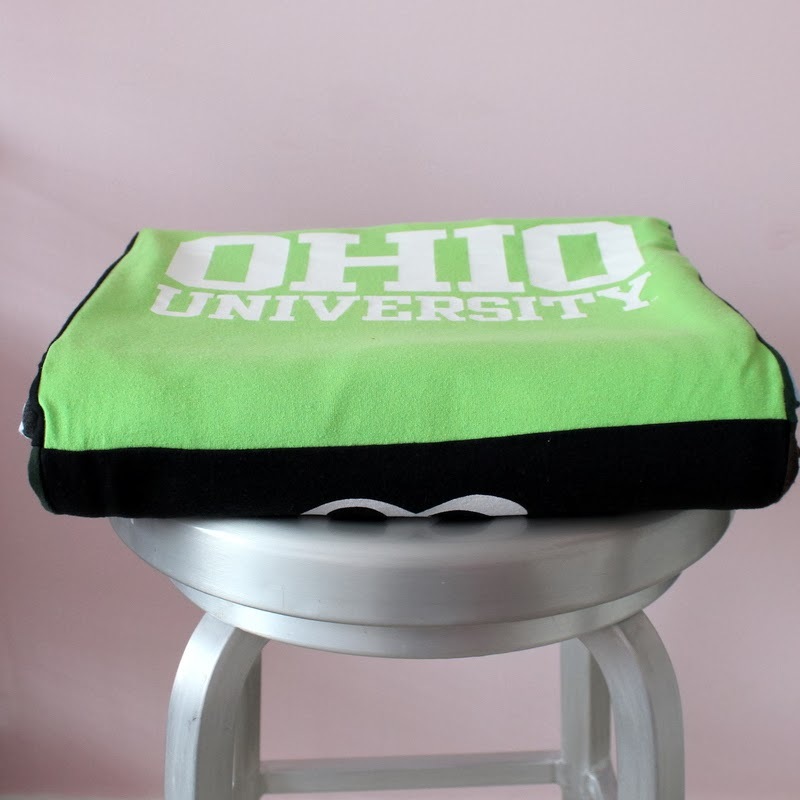 Surprisingly, this is my first Ohio University blanket! 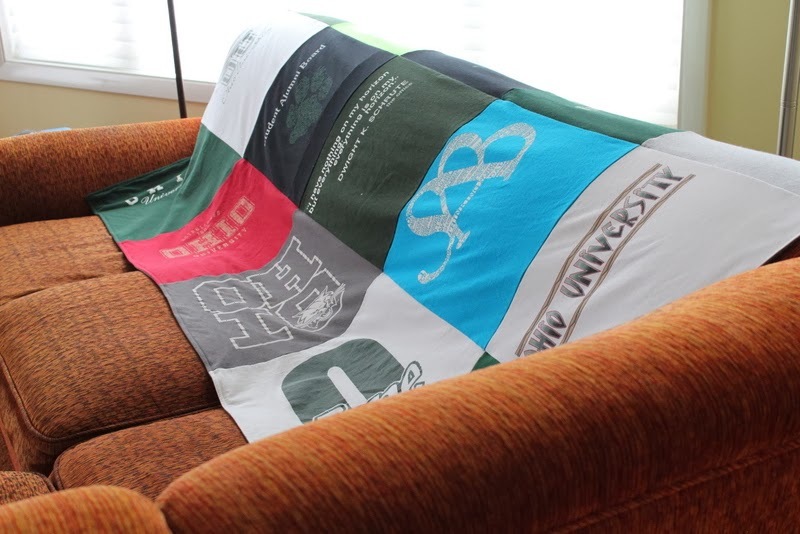 This is the 20 Block T Shirt Blanket. On another note, one of my goals is to attempt to have a cohesive look in my Etsy shop. 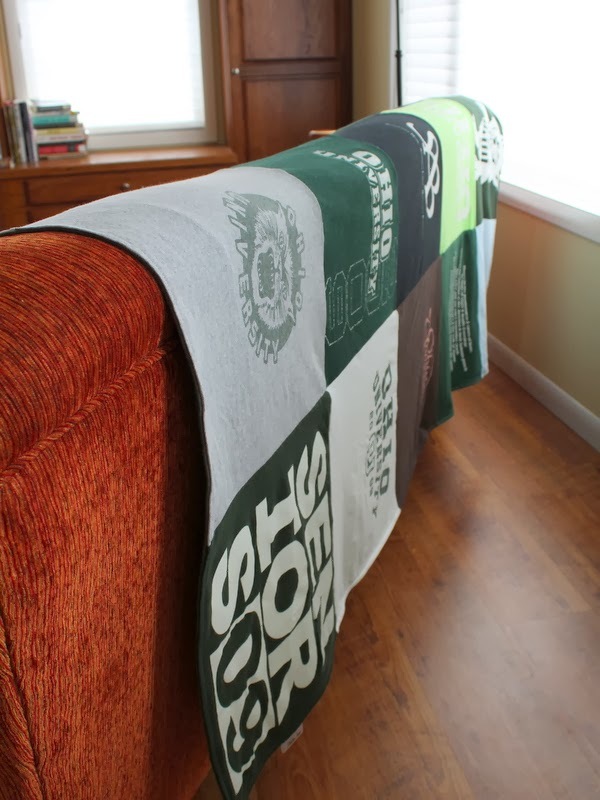 Not easy when you are making large items like blankets. It would be easier to do if the lead off photograph is something like the top photo – a folded blanket. It is not very descriptive, however. What are your thoughts?